You are invited to Bee Connected with Bumble Bizz! 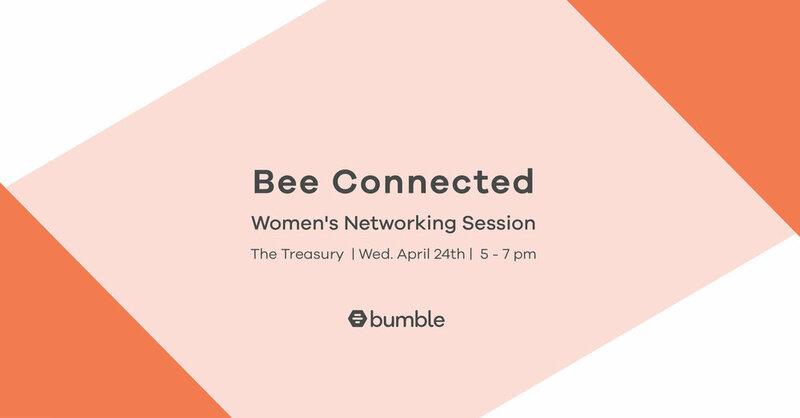 Join Bumble at the Treasury for a women's only networking event! Come mingle with the women of Oklahoma City and find your new business connection or empowering friendship! The evening will include light bites and refreshments, along with fun Bumble goodies! We cannot wait to see you there. Get your free ticket on Facebook.